One Sunday evening in the spring of his seventh year as king, as his musicians were gathering for the evening concert, a courtier brought Frederick the Great his usual list of arrivals at the town gate. As he looked down the list of names, he gave a start. "Gentlemen," he said, "old Bach is here." Those who heard him said there was "a kind of agitation" in his voice. These are the opening words of James Gaines' new book. Bach's compositions are well documented in a wealth of excellent recordings, and there are many scholarly books on his life and work, starting with Albert Schweitzer's seminal biography which was first published in French in 1905. But to date the Bach literature has lacked a really accessible book that makes the man, as opposed to his music, come to life. Now we have Evening in the Palace of Reason. This follows the lives of J.S.Bach and Frederick the Great in parallel and culminates in their meeting in Potsdam. 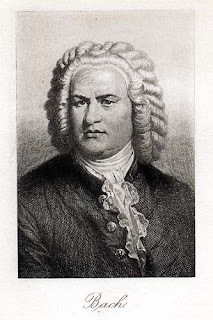 This resulted in the composition of the mysterious Musical Offering after Frederick challenged Bach to write a six part fugue on a theme supplied by him. Evening in the Palace of Reason works wonderfully at several levels. It paints a well researched picture of Bach that really makes him come alive as both genius and fallible human being. The character of Frederick and his place in the history of Europe are also skillfully defined. And themes as diverse as the Enlightenment and the structure of cannons and fugues are skillfully threaded into the narrative. The combination of readability and scholarship make this book a real winner. How refreshing to see a book aimed at the mass (as opposed to academic) market that comes complete with comprehensive notes on sources, bibliography, discography and a glossary of musical terms. Congratulations to publisher Fourth Estate for showing that the words scholarship and mass-market are not mutually exclusive. The more that I learn about J.S.Bach, the more I am awe-struck by his sheer genius. Evening in the Palace of Reason really brings home his sheer fecundity. It underlines the extraordinary discipline and technique that lie behind the inspiration. It set me thinking about the links from Bach's mathematical forms to modern music. It made me listen afresh to not only Bach, but also to 20th century composers including Webern and Kurtag. It prompted me to take Douglas R. Hofstadter's extraordinary book Godel, Escher and Bach down from the bookshelf. When a book does all those things I have to recommend it. We have had advance warning of the BBC 'Bach experience' to be broadcast in the week before Christmas. It is interesting that having generated maximum spin from the 1.4 million figure for downloads the BBC PR machine is being a little more shy about telling us where those files went. This seems to confirm a recent leak from within the BBC that the destination of the files may not spin as well as the numbers. But as the newspaper editor said: why let the facts get in the way of a good story? Before the BBC claims sole credit for introducing Bach to millions of new listeners I'm going to make a pre-emptive strike. So here are some CDs of his music, or more accurately transcriptions of his music, that have been giving me a lot of pleasure recently. Chaconne from the innovative French label Zig-Zag Territoires. Belgium pianist Edna Stern (right) gives very convincing performances of the Busoni and Brahms transcriptions of the Chaconne from Bach's Partita for solo violin BWV 1004. 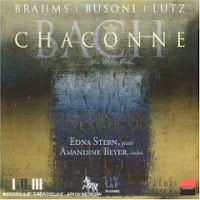 She then follows these with her own commendable transcription of the Chaconne, and the disc is completed by an excellent performance of the original by violinist Amandine Beyer. This is a very rewarding disc, and Edna Stern's new transcription contrasts well with the Busoni, which always strikes me as a little bombastic. The recording of the Brahms transcription is something of a rarity. It is difficult to understand why, as it has a deftness of touch which is sometimes missing from the Busoni. There is a lot of young talent on this innovative Zig-Zag Territoires release, I hope you will share some of it with me. Preludi ai Corali from Winter and Winter has been around some time, but I only discovered it when browsing (or more accurately buying up) the wonderful Harmonia Mundi shop in Avignon in June (which incidentally is where I also bought Chaconne). Winter and Winter are best known for their innovative jazz recordings with Uri Caine. They have a number of similarities to ECM in their repertoire but with a major point of difference. ECM make a feature of their lack of spend on packaging, the Winter and Winter sleeves are collectors items in their own right. But the music on Preludi ai Corali is pretty damn good as well. 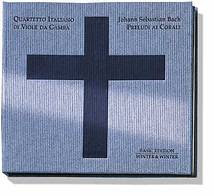 The disc is of transcriptions of Bach Preludes and Chorals played by the Quartetto Italiano di Viole da Gamba. (This viol quartet also play on the famous - or should that be infamous? - Uri Caine Goldberg Variations). Several of the Chorales are reprised after their viol transcriptions by the solo voices of the Tölzer Knabenchor - the famous Bavarian boys choir (above) who have featured on many recordings. This is a beautiful disc. There is a scholarly justification of the transcriptions in the sleeve notes. But for me this is superfluous. The beauty of the sounds is the only justification needed. Regular readers will know I am a great fan of the Spanish label Glossa. My last variation on J.S.Bach comes from them. Bach - music for solo flute includes the one work for solo flute he wrote, the Partita for Flute BWV 1013. This is coupled with a transcription for solo flute of the Suites for cello BWV 1007 and 1009. The soloist is the Dutch flautist Wilbert Hazelzet who also made the transcriptions. This wonderful disc is one of my favourite for late night listening. The music is gorgeous. But even if it wasn't I would have to recommend it simply for the first article in the sleeve notes which is titled The fairy cakes and Wilbert. This is Spain, and scholarship comes with style. This post wasn't planned. I just wandered down a few favourite overgrown paths. But as I read back over it several thing struck me. 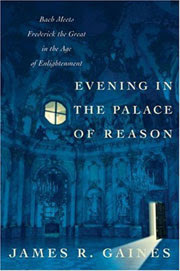 The publisher and author of Evening in the Palace of Reason are both American. But all three Bach recordings come from innovative, and independent, record labels that are not part of the mainstream corporate music-like-water culture, and not one of the labels is America or British - all three are from mainland Europe. And all the artists that made them also come from mainland Europe. Which coincidentally is where I bought two of the three CDs. And is where I will be returning to in three weeks as I respond to the pull of the cloister again. "Gentlemen, old Bach is here.........."
Now take the overgrown path to Officium live - a triumph of music theatre. Your remarks on CD packaging feel a bit askew. ECM has a cult following, partly just for the imagery and packaging of its CDs (and, earlier, LPs). They give a lot of attention to it. Label boss Manfred Eicher reputedly sits with the designers of the covers, saying "just a bit to the left" or "make it 6 points larger", etc. The photographic documentation of recording sessions in the booklets is often quite comprehensive. It's true that there often isn't much in the way of "sleeve notes", but then sometimes one finds a good essay by Wilfrid Mellers or even Umberto Eco, especially with the ECM New Series discs. By contrast, Winter & Winter, in my experience, supplies neither verbal nor (intelligent) visual commentary. Just these terrible "cardboard creations" (Andrew McGregor's phrase), from which the disc is hard to extract without the sense that you are damaging it. Often I like the music on the disc, but am put off acquiring by the packet it's contained in. The only instance where the music prevailed for me was with Uri Caine's wonderful Mahler investigations. Robin, I would say that one always finds a highly intelligent essay included with ECM New Series recordings -- or often two or three separate highly intelligent (often philosophical) essays. It is true that sometimes -- for reasons of space -- only one (or two?) of the three essays is translated into English, but the ECM New strategy of including multiple intellectual/cultural voices is to be cherished and commended, in my view. Fair points made above. By packaging I meant sleeve design rather than sleevenotes, but didn't really make that clear. ECM sleeve designs with their monochrome feel always look like budget jobs to me. Just as an example look at the sleeve design of the superb ECM Thomas Zhetmair Schumann Quartets. Defining great sleeve design is highly subjective, but I think anyone would struggle to say the quality of the art direction matches the quality of the music and performance on that CD. I'm probably a retrogrouche. But for me the move from 12 inck LP sleeves to CD jewel boxes killed the art of sleeve design. Winter and Winter may be weird, but they are trying. Thanks for contributing to an interesting debate. Does anyone have vews on the SDG sleeve designs for their Bach Cantatas, which personally I love? pliable, I'll disagree with you about ECM New's monochrome covers -- which are often beautiful and sometimes highly conceptual. To me are as satisfactory as were the "serial" cover art projects DGG and many other labels issued in the 1960s and 70s (I am posting briefly). For example, I very much like the Georgian photographs that grace the ECM New Giya Kancheli albums (a close friend met this Tblisi photographer in Georgia, and has several of his large photos framed in his dining room); while I recall the Valentin Silvestrov covers feature conceptual treatments of film stills from classic Soviet films. Obviously, I have less experience with marketing to the wider classical market than you do... (though I too feel jewel cases were a disaster despite my LP collection being partially flooded away a few years back.) Sorry for my rush job. Agree with Garth about the quality of ECM cover design, and think the company has adapted well to the small scale. They almost redeem the jewel box too: there's a sense of normative, high-quality series design there. SDG: the most wonderful project in good packets. Space-economical: to have all that text in two languages in such a slim packet. The cover pics look as if they might touch an audience that isn't into BWV numbers and the Lutheran calendar. They bring out the essential humanity of the music (cliché, but a truth also). Only pity is the white-out-of-black text, which makes for quite tough reading. Robin, hear, hear to your comments about the SDG packaging and product - I can only agree with you. And that includes your comment about the white out of black typography -a combination of sitting in front of a computer monitor for too long and middle-age is ruining my eyesight. I can't add any deeply-thought out comments about CD packaging, but just wanted to say how much I enjoy your site. I've been following your reports for a few months but was prompted to write by your spot-on review of 'Evening In The Palace of Reason' which has been my favourite summer reading. I wish musicologists could engage half as well as James Gaines! Keep up the good work! Merely correcting a factual error here. The third transription on the Chaconne disc you mentioned above is not by Edna Stern herself, but by Rudolf Lutz. Anonymous - yes, you are quite correct, my error. I checked the CD sleeve, the third transcription is indeed by Rudolf Lutz, apologies. I would just like to ask - would you consider this book readable by someone with very little musical training or knowledge of musical theory? Sounds interesting but I am wary for these reasons. Evening in the Palace of Reason book is written for a general audience. It even includes a glossary and recommended recordings. Highly recommended - enjoy it. Thanks for your swift, helpful reply and for continuing to write such an informative, entertaining and interesting blog. Long may it continue!